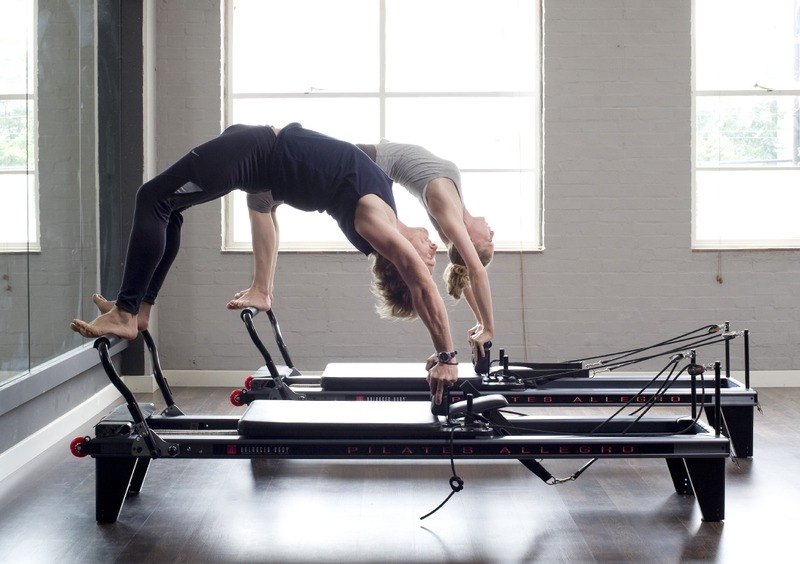 Studio Offer | 05 Reformer Pilates Classes £74 | £14.80 per class | 5 classes valid for 5 weeks from the purchase date. Offer ends 31st January 2019. Classes non-transferable, Tempo Pilates Terms and Conditions apply. Offer valid at our E1 | Shoreditch, E8 | Hackney and Wc2 | Covent Garden reformer pilates studios. We’ve relocated our Hackney E8 studio and thought these FAQs could be useful. Please take a look at the below, and let us know if we can be of further help. – When did you relocate? We’ve relocated on the 16th of November 2018. Unit 1, Great Eastern Buildings, Reading Lane, E8. That’s close to the Hackney Town Hall, and a stone’s throw from Hackney Central, Hackney Downs, and London Fields stations. We listened to your feedback and found a more accessible street-level location, equipped with Air-con, electronic lockers, private toilets and the best part is, it’s quiet. Our brand new facilities feature lots of natural light and are designed by MAD Interiors. – How is the relocation going to affect me? Except for the location change, we aim for everything to remain the same: You will still have our great instructors and our friendly team at reception, our packages, booking system, contact details and schedule will also remain the same. The studio will still have 11 reformers, keeping our classes small and personal. – What’s the best way to get there? Click here> for transport links. Kirsten’s fun and bubbly style of teaching has made her popular with Tempo Pilates students. You can find her classes regularly in our WC2 | Covent Garden and E8 | Hackney studios. Find out Kirsten’s best advice and summer favourites in our interview below. TP: Tell us about your journey with the Pilates, such as when and how you started practicing the method. Kirsten: I started practising Pilates about 5 years ago and after a couple of classes I loved it. I started seeing the benefits to my posture, muscle imbalances and also how it assists me in stress relief. It is the whole package for me. Kirsten: The routine at the start of a class really gives students the opportunity to grow and develop. I love seeing new students progress and increase their confidence over a few classes. Kirsten: Enjoy the music, try and have some fun through class and the rest will follow. Kirsten: Try not to rush the exercises, take the time to think about the cues the instructor is giving, this will help ensure you get the best form & deepest results from the exercises. TP: What are your best tips to keep cool during a class? Kirsten: Pop some ice in your water bottle to keep it cool & make sure you take a drink throughout a class. Kirsten: Oooh tough one, I do also enjoy a good gym session or a HIIT class. Kirsten: Staying hydrated, listen to your body and increase water intake depending on the weather and your activities. Kirsten: Brunch at Sunday Barnsbury, delish. Kirsten: I don’t have a dedication to any particular brands, Lululemon have a lovely range but GAP also have some great reasonably priced items. TP: Three Instagram profiles you are a fan of? TP: A favourite summer holiday destination? Kirsten: Thailand 🙂 take me there now, please…. TP: Your favourite song from our July playlist? Kirsten: Inaya Day – Nasty Girl, such a great tune. Kirsten: I have some very close friends and family who have overcome huge life battles and inspire me every day to enjoy the life we have, we only get one. Kirsten: Don’t take yourself too seriously. Peng has been a regular at our E8 | Hackney studio for over 4 years. Find out about her history at Tempo Pilates and her local favourites below. January 2014, in a bid to get trimmer for my wedding. I try to include boxing at least once a week, just to inject a bigger dose of cardio into my routine. Currently, George Ezra’s “Shotgun” on the July 2018 playlist seems very fitting for the London mood we’ve had of late. Picasso 1932 at the Tate was a delight. Netil 360 for casual drinks in the sun, Coupette (Bethnal Green) for solid cocktails, Brat (Shoreditch) for Basque-inspired cuisine, and Cây Tre (Shoreditch) for easy, tasty Vietnamese bowl food.